Fines for drivers who park on verges or pavements is set to be introduced by Peterborough City Council. 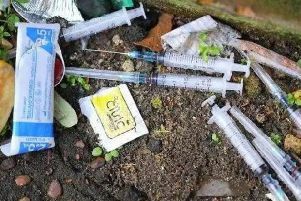 A city-wide ban is being drawn up by the council, but this will only be enforced in certain areas where local residents or the emergency services make a strong case that action needs to be taken. A Traffic Regulation Order (TRO) which sets out the ban was approved last week by councillors on a scrutiny committee, albeit with a few recommendations which will now be looked at by the council’s cabinet. Committee member Councillor Richard Ferris, Labour member for Park ward, said: “It’s unusual when you get cross-party support like we did at the meeting. It’s a massive issue in Park ward. It’s up there as one of the top half-a-dozen issues people contact me on. “There are eight roads I can think of where there are verges which have been damaged to an extent. “One of the things residents say is they do not want to lose the verges, but it’s often local residents who are parking on them. “We have a lot of rented accommodation which is pushing up the number of vehicles - there’s not enough space so people just do it. “It’s welcome that somebody has finally come forward with the TRO across the city. “I’m in favour of introducing the TRO but I want to be convinced there will be staff out there to enforce it. But he added: “What they have come back with now is quite strong and should benefit residents in places I represent like Ravensthorpe and Netherton. A council spokeswoman, responding to Cllr Murphy’s point about using fining powers, said: “This can be challenging to use as the council would need to provide considerable and detailed evidence linking damage to the highway to a particular person. “As the nature of the damage is often cumulative and there are any number of highway users, the resources required to gather sufficient evidence to prosecute would be prohibitively costly. Cllr Nick Sandford, Liberal Democrat member for Paston and Walton, also welcomed the proposed TRO. He said: “There are some really cheap, physical measures they could put in place to discourage grass verge parking. “In the Walton area, myself and Councillor Asif Shaheed put community funding towards tree planting on grass verges where there is a problem. Should the Traffic Regulation Order (TRO) be implemented by the council, parking on verges and pavements will be prohibited in Peterborough. - Following a request from the local highways inspector where the verge or pavement is being damaged so much that it represents a health and safety concern and/or will lead to a significant cost for repairs. For local residents to have their road chosen as a place where the order should be enforced, they have to either start a petition or individually write to the council. If the council then decides to go to the next stage, after initial conversations with ward councillors, it will hold an informal consultation with residents of the street/area that have asked for the scheme, and possibly residents of the surrounding area as well. The council will only activate its TRO if it receives a response rate of 50 per cent or above of properties affected, of which 70 per cent of those are in favour of the ban. However, this has been described as too stringent by councillors who have recommended that these targets be scrapped. Yet even if those criteria are met, the final decision on whether to push ahead with the ban in that area will be up to the council. If the council does plough ahead, signage will be put up in the affected area, and after a two week warning period any vehicles found to be parked on verges or the pavement could be hit with a penalty charge notice.